The air-puff [tonometer] is not very accurate at all. I suggested they see this previous article on tonometers. In this current article, I will elaborate on my tonometer experiences. Goldman tonometers perform a sort of averaging because of the fact that they are in contact with the cornea for an extended period of time (compared to the applanation period of an air puff tonometer, which can be as short as tens of milliseconds). This averaging effect eliminates information. Sometimes that missing information can be critical. An air puff tonometer therefore, can give a more accurate instantaneous reading. However, clinically useful readings require repeating the measurement at least 3 times for each eye and taking an average. There is no doubt in my mind that, for research purposes, repeated readings with an air puff tonometer provide intraocular pressure information that is missed by a Goldmann tonometer. Unfortunately, my opinion on the usefulness of air puff tonometers for research and home eye pressure monitoring is in conflict with the medical establishment's position. This is a subject area that many doctors approach with a strong bias (and an emotionally-charged attitude). In the past I have gotten into some heated disagreements on this topic. Now, simply discussing it in a public forum where I know respected medical doctors will read and disagree, makes me feel like I'm in a confrontation. Without using an air puff tonometer, one couldn't easily learn so much about intraocular pressure in daily life because you can't (and wouldn't want to) put anesthesia in your eye every few minutes and touch your cornea so frequently. But with an air puff tonometer, I can check my intraocular pressure before and after almost everything I do throughout a typical day. That information is powerful! Over the years I have done extensive research on tonometers. My research, as well as the published scientific literature, support the conclusion that modern air puff tonometers (such as the Reichert AT555) are generally accurate. By many measures they are more accurate than the TonoPen. They are certainly far more accurate the Diaton "through the eyelid" tonometer. As I mentioned, they even had advantages over the Goldmann tonometers for frequent monitoring. Of course, like all tonometers, the air puff tonometer is not perfect. 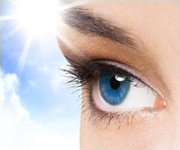 It will not suit every person (particularly people with abnormal cornea thickness or abnormal cornea hysteresis). But the studies show that air puff tonometers are accurate for most people when compared to Goldmann tonometers. If you are interested in self-tonometer, don't let someone's bias (even if that someone is your ophthalmologist) tell you that air puff tonometers are not accurate. That itself is an inaccurate statement. Unless some specific reasons are given, such as your own cornea thickness, the research strongly justifies considering an air puff tonometer for self-tonometry.